Pack all of your gear and then some in this extra-roomy, full featured laptopbackpack. 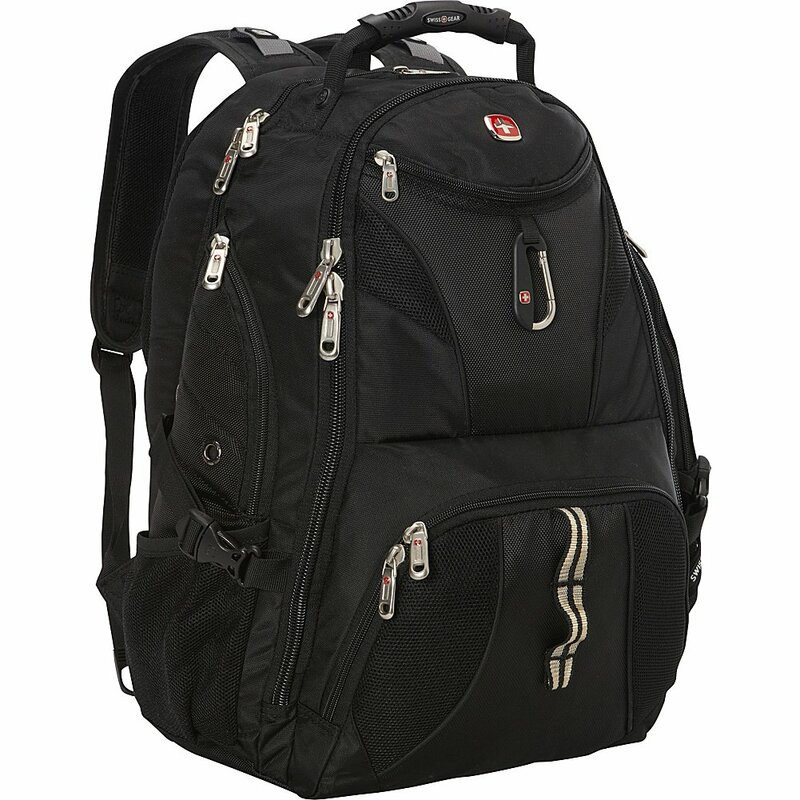 The Swissgear 1900 ScanSmart Laptop Backpack is made from durable1200D ballistic polyester fabric and is equipped with a large opening maincompartment with rugged oversize zippers, adjustable side compression straps,a heavily padded back panel with Airflow ventilation technology, paddedcontour shaped shoulder straps with mesh fabric and built-in suspension aswell as ScanSmart lay-flat technology for the ultimate in laptop-in-case TSAscanning for most portable computers up to 17 inches in size. Computer pocketprovides the most support for laptops protected by sleeves. Other featuresbuilt into the case include a highly protective floating TabletSafe tabletpocket, an accordion file holder, an organizer compartment, multiple internalaccessory pockets, side accessory and water bottle pockets, a padded mediapocket with headphone cord port, a molded top handle, a webbing daisy chainand carabineer to attach gear to when you're on the go, a front quick-accesspocket and reflective accent material built into the shoulder straps for addedsafety when out at night. Since the backpack is oversized, it fits adults andlarge children best.